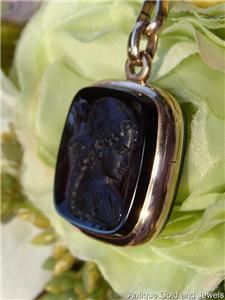 It is miraculous for a locket so old to present in such pristine condition! 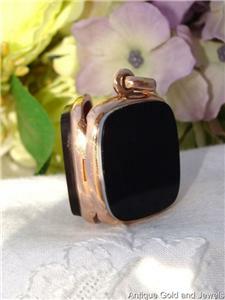 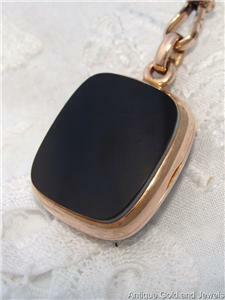 This is so elegant with a classic book / photo album shape with a body of warm Rose Gold. 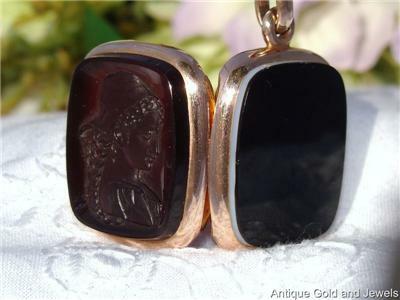 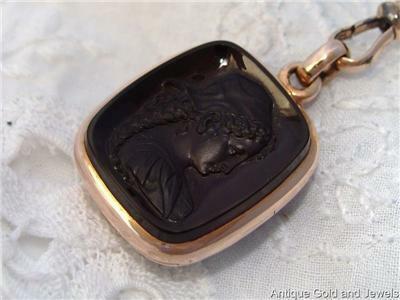 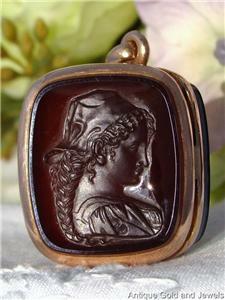 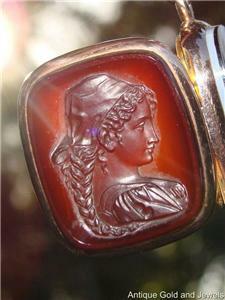 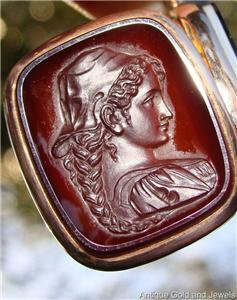 One side features a cameo of a girl carved in cornelian while th other is a piece of gate/onyx. 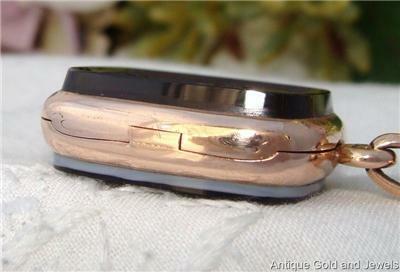 The sides are rounded and so smooth and it has a thick jump ring so it is ready to wear. 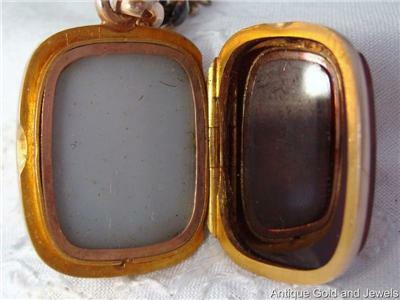 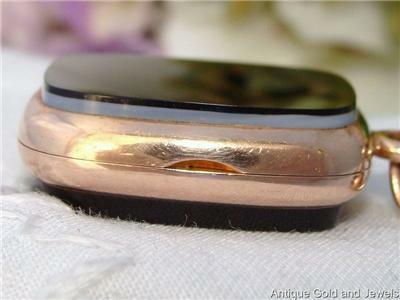 The hinge and clasp are in perfect working order and enclosed inside is the original frame/bezel and glass/glazed cover.! 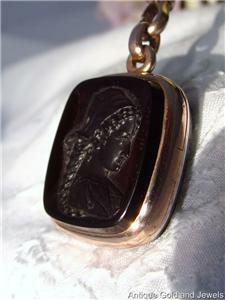 MINT Antique condition! 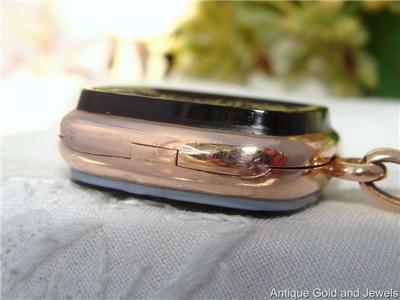 There is no evidence of use - the chips, cracks, dents, wear - it is Absolutely Pristine. 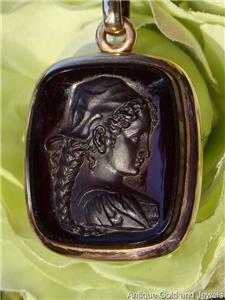 You will not find better.